At Baselworld this year, AUGUSTMAN was fortunate to be able to sit down at a round table interview with the new head honcho of Breitling, Georges Kern. Typically stressful for any interviewee, roundtable interviews often see journalists crossfiring questions that can change the flow of conversation every two minutes. Kern showed how much a veteran of the industry he is, by the way he navigated the hail of queries. 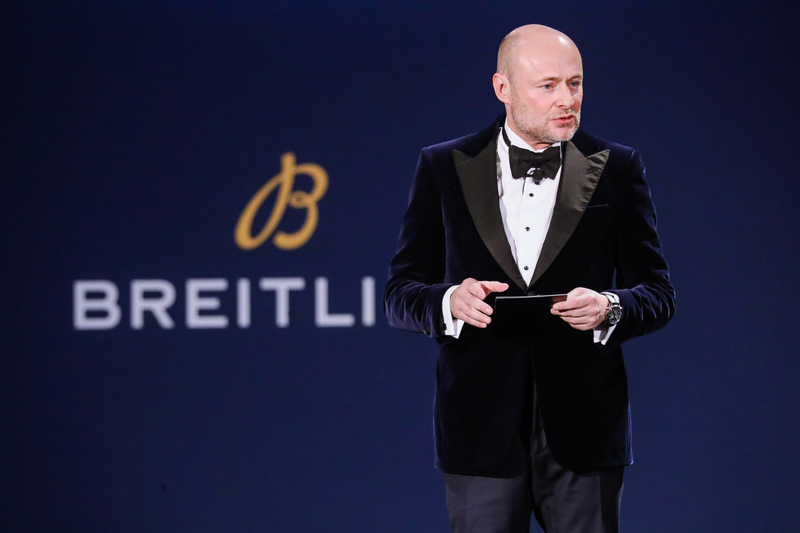 Read on to find out how he intends to revamp and elevate Breitling. Round table: I’ve been in this industry for 15 years and Breitling has always shown mystery at its management level. How do you see the restructuring of its communications? Before Breitling was acquired by CVC, it was a private company belonging to a private person who built something fantastic. It was very successful in the US and Europe, but it needs to be ready for a different setting. Everybody has their style; I have mine. I have no problems talking to the press or being on Instagram. I think it’s really important in the context of a transformation and it’s why we are doing these phenomenal roadshows. We have been to Shanghai, Tokyo, Osaka, Singapore. I have met with 800 retailers, and hundreds of journalists and bloggers. We have been very active online for the first time. Where do you see Breitling going? I would need hours to explain that properly. Let’s start with the first thing: strategy. Breitling has always been perceived as a pilots’ brand, with a quality of utility that can easily extend the world of Breitling into other spheres. Of course, aviation remains the brand’s main pillar. Its emphasis on functional, legible pilot’s watches led to bigger, overt designs. But Breitling also produced elegant watches like the Premier and the Top Time. From today on, Breitling will once more execute small elegant watches alongside its bigger brothers. We will focus on contemporary, stylish and tasteful offerings. Take for example the Super 8 we just launched. It’s sized at 46mm, but it’s more restrained in design and expression. We are keeping big watches. We will work on enhancing the design of our larger watches. For instance, our new Chronomat is satin-brushed, not polished. We have completely reviewed the dial to be simpler and cleaner. It’s a whole new watch. How will the new design ethos be reflected in the brand’s public communications campaigns? Our communication will be more industrial- and lifestyle-driven, with a touch of the neo-vintage. We want to keep it informal and personal. In our boutiques today, we have stopped all the cartoons and the pop art-influenced decor. Those themes were great for a certain period of time, but challenging to sustain, especially with these areas of focus we want to develop. We have stopped the advertising campaigns with the pin-up girls and the flight suit girls. These campaigns don’t accurately reflect today’s society and the women of today. We have to be more considerate of the varieties in society. So to sum up: the words we use; the products we make and the advertising campaigns that we create. We have a clear strategy but the implementation is as important. A smart strategy without the right implementation will not work and implementation without a vision is useless. You need both and I think in the six to eight months that I’ve been at Breitling, never in my whole career have I experienced so many changes at such speed. Will in-house movements see more representation? We will grow our in-house movements, of course. Everything we launch will see some representation with Breitling movements. The tri-compax (3, 6, 9 on the dial) that now comes in a bi-colour design will be a signature of that presence. It’s a historical Breitling look of the mid-century era and we want to preserve that heritage. Breitling-modified movements will always be monotone. It’s like having a Porsche 911 or buying the 911 Turbo. It’s the same car but at a different price point. Going from $5,000 to $7,200, it’s a price barrier we need to counter with an alternative offer. But my priority is for Breitling to become a very legible brand. Today, if you are in front of the window it’s difficult. But with the new collection, it’s very easy to read. It’s clear and segmented. We’ve stopped all the variations of these rubber straps and will keep just one version. Dilution of a brand comes when you have one line but you make it in 100 executions, not when you have four lines in 20 executions. Breitling is (or, was) essentially an aviation brand and it has captured that niche. Is there a risk that the brand takes in changing that up? Of course not. What worked yesterday doesn’t mean it will work tomorrow. I remember when Spain was a European champion and a world champion. But when they came to the next World Cup with the same team, coach and system, they didn’t win one single match. You have to evolve with the market. You have to adjust, in all these elements I’ve mentioned. I’m not here to keep the status quo. You don’t need me for that; you can take anybody. We are here to elevate the brand to a global level, to bring back elements that made the brand very successful in the ’40s to the ’70s. Take Range Rover for example. When Tata bought over the company, Range Rover had always made four-wheel drives. Then a new guy walks in and suddenly they did Evoque and Evoque Convertible. Remember, when Porsche launched the Cayenne and people said the company would go bankrupt? Then after that they launched the Panamera, the Macan, and everyone said it would fail. Guess what is the bestselling car at Porsche? The Cayenne. And what are they saying now about Breitling? Which bespoke suit tailor in Singapore is just right for you?